Are you a secret blogger? Do you have a blog that nobody knows about and few visit regularly? If the answer is yes, I suspect that there’s not enough “you” in there for people to want to become friends with you. Your blog might read like an instruction manual with nothing to really engage a reader. Anyone can get a textbook but people read blogs to engage with a real person. If that’s you, step into the real world of blogging. Real blogging is about attracting new friends who like what you have to say. How do you make friends through your blog? You start by being a friend. 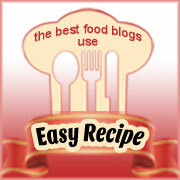 Find blogs YOU enjoy and follow them through email or RSS feed. Leave comments on that blog. Leave comments on the ultra popular blogs because if what you have to say is clever, other people will find you and follow you home. Check out the other commenters on the blogs you like and follow THEM home and before you know it, you’ve got a web of like-minded people who are becoming friends. It’s not rocket science but it does take some effort. Commenting takes time. Your comments will be there for a long time and if you write something stupid, yep, it will last forever and it will have your name plastered all over it. Popular bloggers like good comments. “Nice Post,” “you rock,” and “I liked this” are probably better than no comments at all but imagine if you contributed to the conversation with a well thought out comment. I’d much rather have one of those than 4 of the “nice blog” comments. I always remember the bloggers who show their personality and add to the conversation. One thing I might add about commenting is don’t waste anyone’s time by linking to your own article in your comment unless it is spot on relevant and will add to the conversation. Otherwise it looks like spam. If you don’t get insulted, you’ll certainly be less than welcome. Another good way to find new blog friends is to look at the blogrolls of the blogs you really enjoy. Who do they like? Who do they think is a mover and a shaker in the niche you’re in? 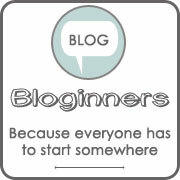 Follow them home and see if their blog fits with your point of view and if so, leave a comment. Join Facebook groups in your niche. There are many groups on nearly every subject. Join the group and participate. “Like” other blog fan pages, comment on Facebook then comment on their blogs. You’ll end up with return likes and a budding friendship. Google+ works too but not as well as Facebook in my experience. Once you’ve found a blog and commented, then what? Ramp it up a bit. Write to the blog owner at his or her contact address or form. Say how much you liked a particular post. This works equally well for commenters too. If the commenter has a blog, their name will link to their blog. EVERYONE enjoys being flattered, especially when it’s sincere. Don’t send tons of mail but when you have something of importance to say, let them know. Popular bloggers still collect their own mail and brush their own teeth. The only difference is how busy they are and how much more money they’re earning. It feels good to have friends in your niche or industry and every friend will increase your knowledge and experience and before long you’ll all be on the same level wondering who met whom first. Just as in the dating market, there are HEAPS of fish in the sea so if you follow a blog for a week and it bores you, don’t keep going back. You want to follow blogs you can’t wait to read. I’ve got one blog I follow that I check her blog before going to bed in case her new post is up before I get the email. That’s the sort of blogs I think you should find for yourself. It’s good to be choosey — you only want the follow the best. Each post you read from a good blogger, the better your blog will become. It might not happen overnight but you can’t read quality without picking some of the tips up subconsciously.